“Casting Light on Metabolic Dark Matter: Functional Gene Annotation using untargeted Metabolomics”, by Robert Sander Jansen, PhD candidate for a Faculty Position in Department of Biochemistry and BCCHRI. 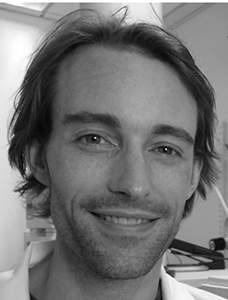 Robert Jansen studies the function of uncharacterized proteins using untargeted metabolomics. He obtained his PhD from Utrecht University, where he developed quantitative LC-MS/MS methods for the detection of therapeutic nucleotide analogs in white blood cells. During postdoctoral research at the Netherlands Cancer Institute in Amsterdam, he applied untargeted LC-MS metabolomics to discover the endogenous substrates and physiological functions of human ABC-transporters. Currently at Weill Cornell Medicine in New York, he focusses on essential proteins of unknown function in Mycobacterium tuberculosis, the causative agent of tuberculosis.